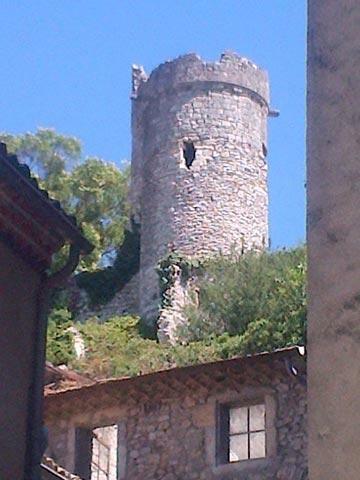 Viviers is located in the southern-central part of the Ardeche department, a few kilometres south of Montelimar. It is a town that creates mixed impressions, with several very interesting highlights to discover - but they are not always presented in the best light. A town waiting to be discovered and improved perhaps. 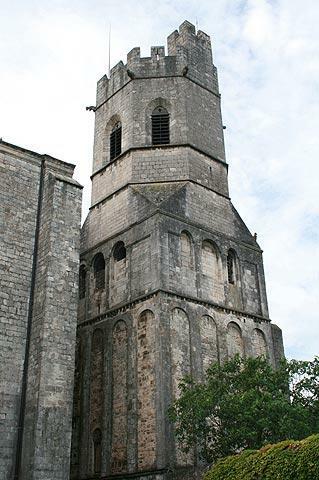 Start your visit to Viviers in the streets around the Cathedral of Saint-Vincent, which is the centre of the old town. 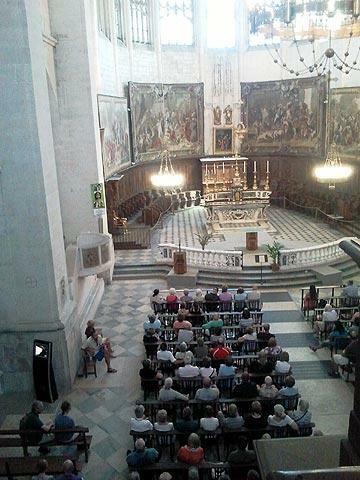 Dating from the 12th century to the 18th century the cathedral has some very fine features including its belltower and campanile, and the tapestries inside around the stalls are also impressive. 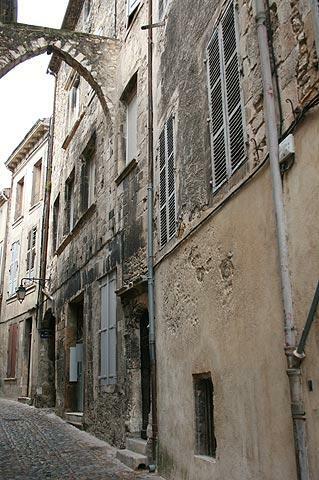 There is quite an extensive warren of narrow streets around the cathedral with buildings that are sometimes very carefully renovated, other times rather derelict looking. All are interesting to explore, and a marked walk can be followed. 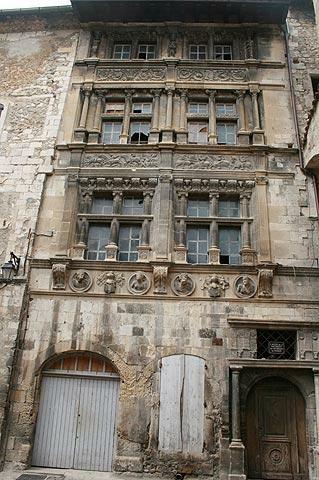 In the heart of the old town there is a particularly impressive 16th century renaissance building called the House of the Chevaliers, with a great deal of fine carving and ornamentation on the facade. 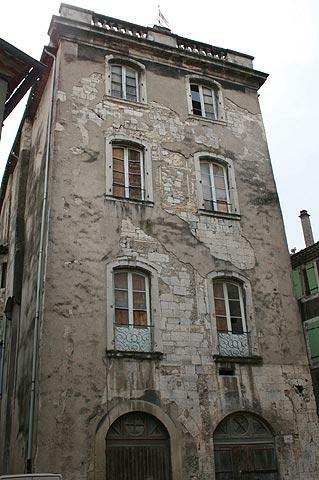 Unfortunately the building itself is looking very neglected which is a tragedy for such a lovely building. Hopefully someone will take it in hand at some point (I hear that plans are underway)! 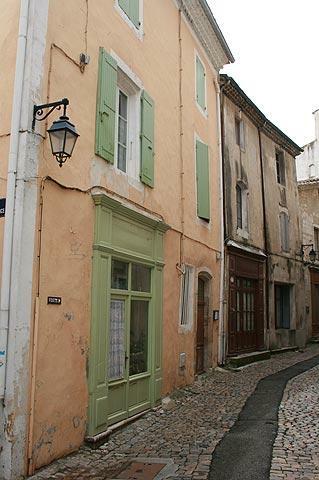 One feature I enjoyed is seeing a few houses painted in the faded pastel colours that we associate with Provence and are less common in the northern Ardeche - making you feel that you have arrived in the south of France! 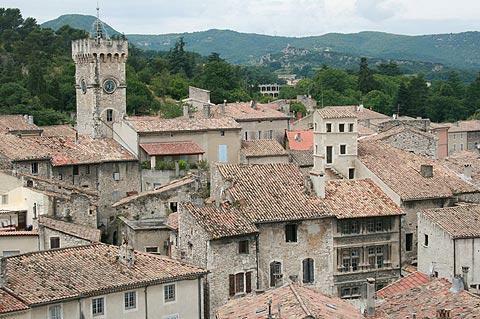 Also to discover in Viviers are the town hall, a grand classical style building that was previously a priest's palace dating from the 18th century, and the remains of the town ramparts. 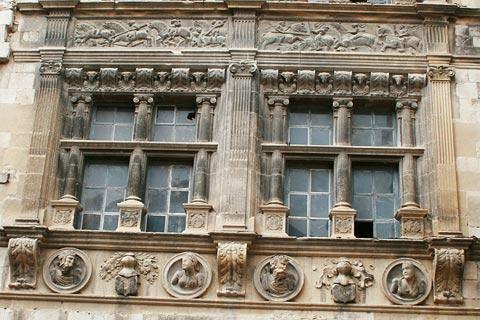 In fact the 18th century is quite well represented in the architecture of Viviers and there are several notable grand houses from this period around the town such as the Hotel de Roqueplane, which is now the local bishopric, the Hotel de Beaulieu and the Hotel de Tourville; take a look at the ornamental stone carvings on these last two. 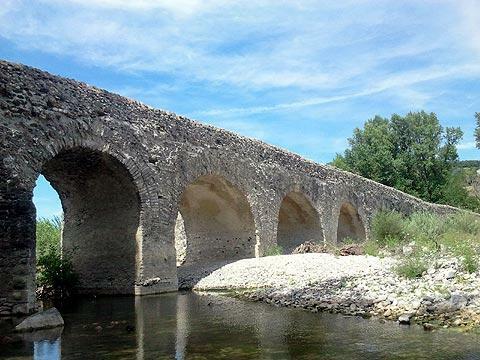 You should also take a look at the ancient stone bridge (the Pont Romain) across the Escoutay river. The bridge has 11 arches and dates from the 2nd or 3rd century. Behind the old town (just behind Viviers cathedral) there is a far reaching view across the roofs of the town and across the Rhone river to the distant mountains, as well as a large statue of the madonna standing on the hill above the town. The view is slightly less idyllic than it might be because it also includes a distant power station and cement factory but it's well worth taking a look. 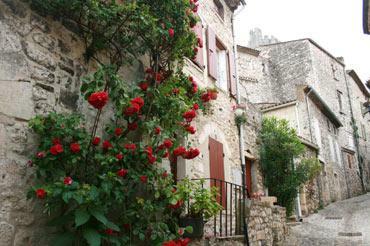 You will probably discover Viviers when exploring elsewhere in the Ardeche region. 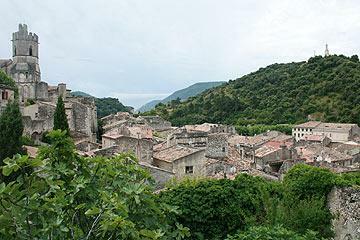 Close by we particularly recommend you visit the picturesque villages at Saint-Montan and Alba-la-Romaine, and of course no visit to the region would be complete without a tour of the Ardeche Gorges starting from Vallon Pont d'Arc.